Come and see us on Sat. April 13th at Bar N Veterinary Clinic from 8:30 am – 11:30 am for discounted vaccinations for your pets! We will be doing the discounted vaccinations on the side of the clinic and seeing examination appointments inside the clinic. It’s also Heartworm Awareness month so we are also celebrating with a prize wheel where every spin is a WINNER! You must buy at least 6 months of Heartgard or Interceptor Plus (Heartworm prevention) OR have your dog heartworm tested to spin the wheel and WIN great prizes! Can’t wait to see ya’ll there!! 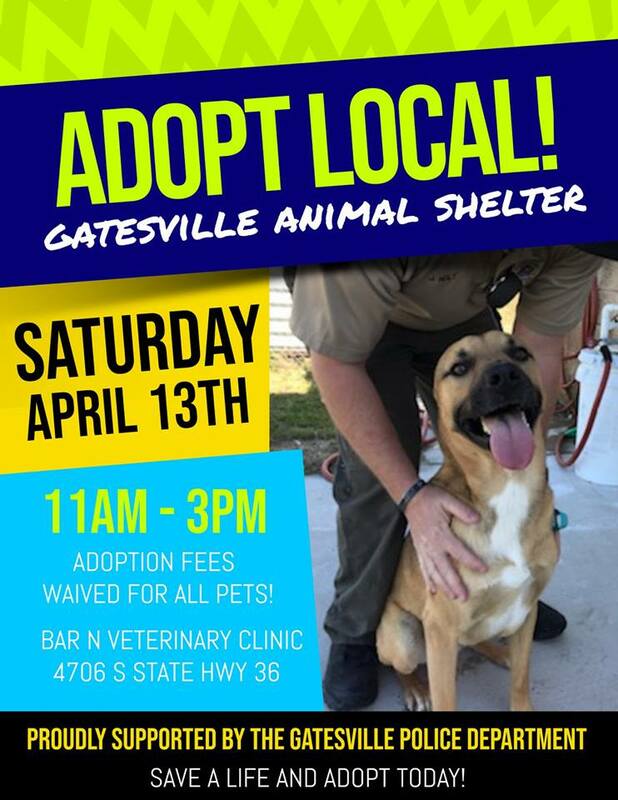 Check out the Gatesville Animal Shelter Adoption Event happening the same day!